STRUMIS LTD is pleased to announce that Baosteel Construction (BSC), one of the foremost steel producers in the world, has selected STRUMIS - the leading enterprise Fabrication Management solution, for its new Haimen fabrication facility on the Yangtze River, north of Shanghai. The Haimen fabrication facility, when fully operational, will represent China’s single largest steel fabrication facility with an output of 150,000 ton/annum. The total investment in the facility is USD$114 million (CNY720 million) occupying a 333,000m2 production line, which will be manned by over 1000 people. The selection of STRUMIS followed an extensive selection process by BSC, to deliver powerful production controls and material management to optimise throughput through the facility. Baosteel is a leading steel producer for the Chinese and International markets. Baosteel produced 44.50 million tons of steel in 2010, ranking No.3 among the global steelmakers in the world. Baosteel entered Fortune Global 500 for 8 years in a row, and was ranked No. 212th in 2011. The steel business of Baosteel is based on producing hi-tech steel products with high added values. The three major product series, namely straight carbon steels, stainless steels and special steels, are widely used in industries such as automobile, home electrical appliances, petrochemical, machine building, energy and transportation, construction and decoration, metalwork, aerospace and aviation, nuclear energy and electronic devices. Baosteel’s products are sold in domestic and foreign markets through their sales network around the world. It not only dominates the domestic steel plate market but also exports quality steel products to more than 40 countries and regions including Japan, Korea , American and European countries. STRUMIS LTD is a leading supplier of software solutions to the international structural steel industry since 1986. 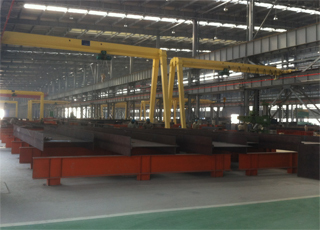 With core business areas in the AEC Building and Construction industry, STRUMIS LTD products have consistently transformed its customers’ business in the steelwork fabrication supply chain. Products include BIM data project collaboration and fabrication management software. STRUMIS LTD has international operations in 10 countries and customers around the world.